Feeling good in your own skin ensures greater overall happiness, but also happiness at work. People who work for insurance companies usually have sedentary jobs, and sedentariness affects health. People who sit for more than six hours a day at work have a 20% greater mortality rate than those who spend fewer than three working hours in a chair (source: American Cancer Society)! And the damage is irreversible. Even if you play a lot of sports or follow a special diet, they won’t make a difference: the day’s damage cannot be erased. But there’s no need to panic! You can limit the problem by being more active during your work day. How can I get in better shape at the office? Get out of your chair: meetings will be quicker and more efficient because you can’t stand for two hours! 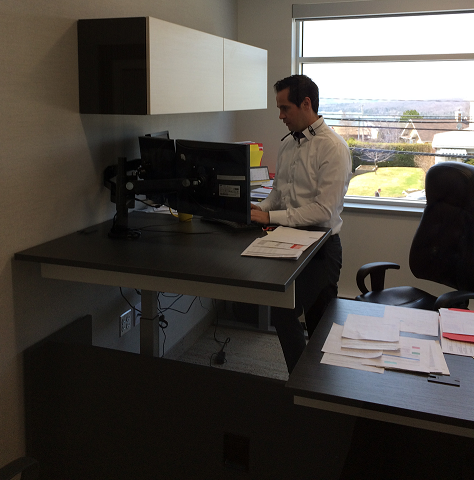 At Promutuel Insurance Monts et Rives, each employee has an adjustable sit-stand workstation so they can adjust their position throughout the day. 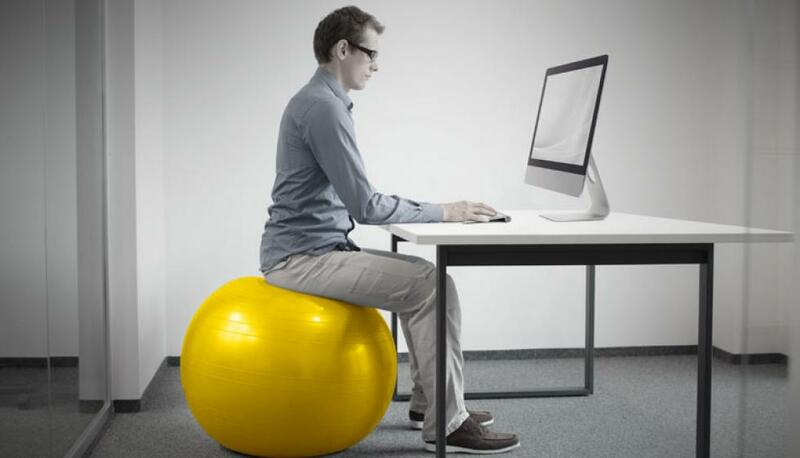 Some businesses have gone a step further and offer employees ways to exercise while they work. For example, Cubii offers elliptical trainers that can be placed under desks. Our young directors share their thoughts!